The East and North are best directions for living room. Portraits of women, animals, birds, scene of war should never be displayed in living room. 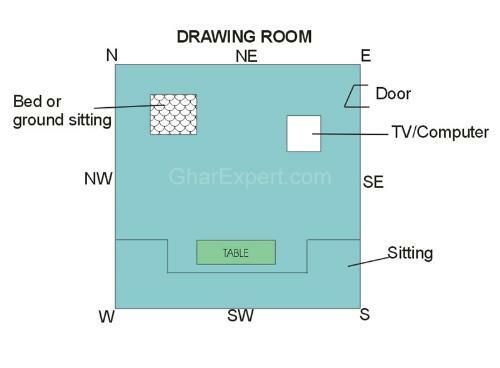 The sitting arrangement for the head of family should be in East or North direction.